Why Has My Cocker Spaniel Started Peeing? 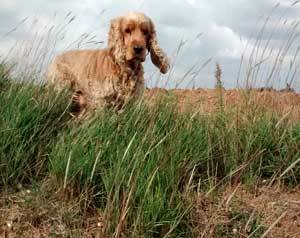 I have a peeing cocker spaniel and I don't know why he does it. He's an american cocker spaniel mix and has always had urinating issues in our home. He's a very eager dog and has been from the get go. I'm a good boy Mom, I've had 3 pees! He's very attached to my husband and often gets 'between' us. I've heard dogs can't be jealous, but if they can, HE IS. If I argue with my husband, Diggy, (my dog) will start barking and clawing at me. Our biggest problem is his peeing, but the thing I can't find an answer for is why he's normal one minute and peeing and misbehaving when my husband's around. I think he has separation anxiety from Johnny, but only Johnny. He won't eat when he is away, etc., but I just don't understand why he pees when Johnny is around and is well behaved with me. When your husband returns from work, ask him to ignore Digby for about 10 minutes, until the dog is calm, before greeting him. This should teach Digby that Johnny won't give him attention until he's calm. If he's calm, it's less likely that he'll pee himself.